You encountered me and my children in a clothing store in a quiet Gloucestershire town a week or two ago. I was with my four-year-old son and my nearly-two-year-old daughter. Shopping for clothes is something I very rarely do these days, but unusually for me, I had a Christmas party to go to that night. It was one of the first times I had an opportunity to leave the house without children in many months – years even. But that is another story. I could easily make this about autism. 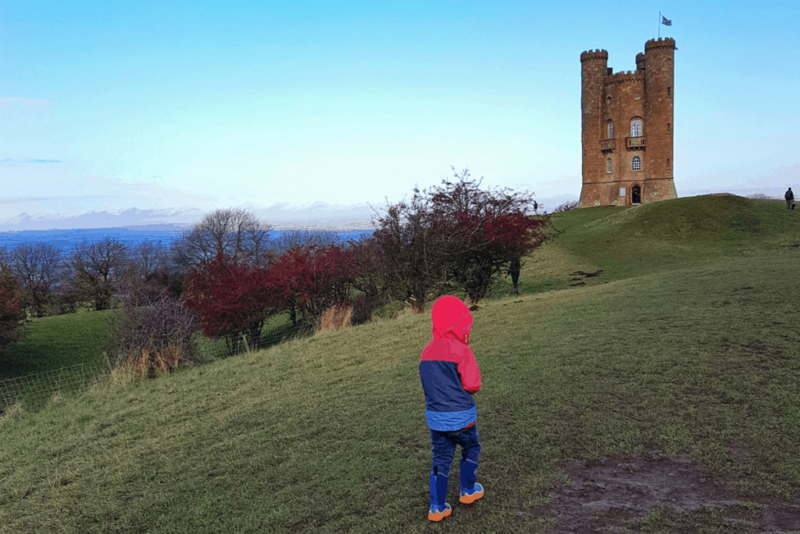 The obsessive behaviour you saw my son display, his inability to recover from the events that took place, even days later – there is no doubt that autism played a role. But this is not about autism. Because that could have been any little boy, sobbing and clinging to his mother’s thighs. It could have been any mother left feeling upset and angry, like she didn’t want to go to a party after all. My son loves things that spin. 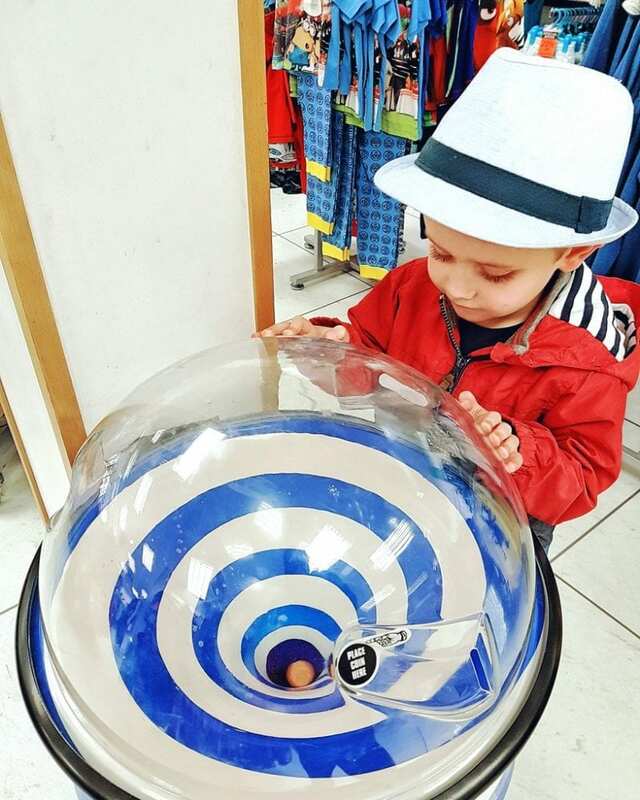 The shop in question has a spiral spinning charity money box – the kind many children love to watch as the coins spin round and round. My gorgeous boy is obsessed with it. I usually remember, when we go to this shop, to bring coins with us. He would happily watch those two pence and penny pieces keep spinning for hours and hours, stimming excitedly as they crash into the collection below. When I forget to bring change, he usually collects pennies from the tray on the cash desk. They are for another charity but if he has no coins to spin he will scream and scream. Not because he is spoiled – but because it is a routine that he must follow, that he cannot break. The staff are kind and indulgent. They let him take a few pennies, transferring them from one charity collection to another. While we are there he may use thirty pence, watching each penny delightedly as it spins. I regularly put as much money as I have in each charity collection to make up for his need to watch the coins spin. There is very little time to shop. My daughter is already restless, pulling clothes from their hangers. I can see my son across the way, hear him flapping as each coin whirls round. But then I hear something else – a sob. He runs to me, inconsolable. My boy turned four a few weeks ago. He does not know what charity is, not yet. He does not know what money is yet, not really. Let me tell you something about the parents of the little boy you made sob and sob. Once, after an anniversary dinner, they realised that a £60 bottle of champagne had been missed off their bill. Great, free champagne? No, they walked the twenty minutes back to the restaurant and paid for their champagne. When visiting a primary school open morning, that little boy’s mother noticed that he had taken a skipping rope from the play room and placed it in the buggy. Even though they were already home, they walked back to the school. Even now, he talks about it all the time, so thrilled was he to learn the lesson. That little boy’s parents have been teachers for over a decade. They have a duty to set a good example to the children they teach. Social, moral and ethical standards are a part of every lesson, a part of life. Those kinds of values are ingrained in them, and ingrained in all they pass on to their children. That little boy’s daddy is the most principled, honest and kind man I have ever met. He is patient and considerate in every aspect of his life, in every dealing with his children. And they adore him. I cannot think of a better role model. That little boy’s future is uncertain. He may not be able to lead a fully independent life. He may not understand all the lessons we teach, all the examples we lead – because his needs are complex and unpredictable. But I do not think he will grow up to think stealing is right. I do not think he will learn that taking from charities is allowed. We had to leave the shop. I had no dress for my party. He still won’t go back in. Any break from routine, any strange circumstance, it will take its toll. I am sure you felt justified. I am sure you felt you performed a moral duty. I am sure you thought you knew something about me, about my son, about my parenting. You do not. You made a judgement that was unfair. And instead of waiting, instead of asking, instead of showing kindness, you made a little boy so, so sad and scared. You made a mother feel angry and alone. And I just wanted you to know. It’s the principle of the thing. Oh Danielle I do not understand why people have to interfere without realising the complete picture. This was upsetting to read but a lesson for us all. Thank you for sharing and I’m so sorry that you were upset. I am sorry to read this. Some people can be very bitter. Sending hugs to you and your little guy! There are far too many judgemental people in our world. 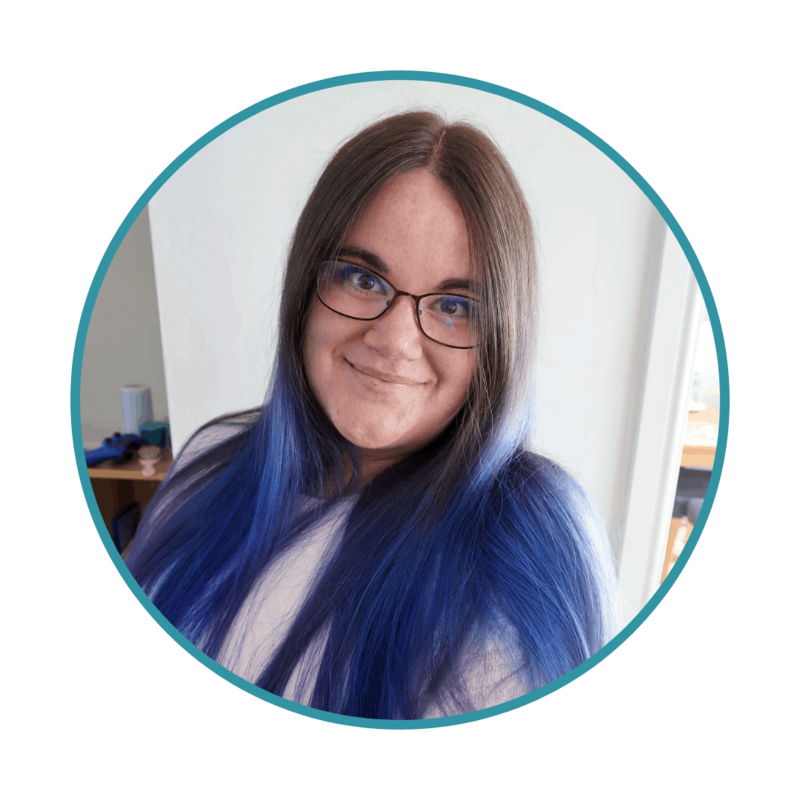 As a carer for an autistic kiddo and as a disabled person with an invisible condition (Fibromyalgia) I am exposed to the ugly side of humanity far too often. It’s painful and sad. I just keep telling myself that not everyone is that horrible and that their opinions don’t matter. And I have a good cry. You’re doing great! What I don’t get is why he thought it was his business if the staff didn’t have an issue. I also don’t understand why he thought it was appropriate for him to tell off someone else’s child and speak to him in that way. Even after you explained he didn’t take it on board. It’s horrible but he could also just be ‘set in his ways’ and unable to reason that someone could not share his view. We can’t educate everyone, nor can we make everyone considerate or kind unfortunately! So sorry you had to experience this. I know exactly how you feel and hope you managed to get to the party! But he *was* stealing to the casual observer – whatever he did right or wrong was directly affect by what he saw. For all you know the gentleman in question could have had a real connection with the charity your son was taking money from – who knows he could of lost someone he loved and that charity helps – now he sees a boy taking money from a cause he holds dear to his heart, what is he to do? sit idly by and watch as the boy potentially empties all the money from the charity collection plate, all this whilst he cannot see or locate the adult responisble for said child – he acted given the information he was presented with. Otherwise I’ll start stealing under the assumption that I’m just redistrubing wealth. Oh I agree completely. I have no issue with his misconception. My only issue is with the way we were treated. As I say in the post actually. He shouted at a small boy. He showed no remorse. He was rude and aggressive to me. He rolled his eyes when I said no harm was done by it. He could have easily said “Oh hello there laddie- I don’t know if you should take those? Where is your mummy?” He could have said to me “Sorry but I didn’t want him to get into trouble!” When I explained he could have said “Oh I understand now!” It was not him trying to set right something he perceived as wrong that I take issue with at all. It is the way he treated us. Even when my boy was sobbing. No “Sorry but…” No “Oh I didn’t mean to upset him I just thought…” He was full of disdain and callous throughout. The most irritating thing is interference of other people without any cause. Really feel bad after reading the post. I am also a mom of 4 year old so i can understand feelings you might felt at that moment of time. Hope your son is okay. This is so beautifully written. I’m sorry you were both upset – he could’ve taken it all back when you explained At least! I would completely understand his anger at first he wouldn’t have known that this boy intended to put the money from one charity to another, what really grinds me was that after being told what the situation was he was still hostile. The truth is the dynamic of mothering, of caring is hidden, when it shouldn’t be. Why we do, and say the things we do as mothers so often goes unrecognised. We are never seen as having made decisions, as having strategies, as being creative and inventive in our approaches to managing challenging everyday situations with our children. It might, to the untrained eye look like leniency but in my experience we are merely ‘bending’ hostile everyday situations to the shape of our children. The way you’d recognised something which gave your son pleasure and utilised it. The way you’d advocated for him in forming a friendly relationship with the shop staff. All unseen by this gentleman, so apparently concerned for your child’s welfare. Sounds to me like you were nailing that dress buying situation, sorry that unfortunate exchange made you feel as though you wanted to just give up, all the work you had done carelessly undone by an unkind stranger. You deserve so much better, you deserved his respect before his distain. What a rotten person! How anyone can be so nasty is beyond me. I’ve encountered similar. Walking in a national park the day after a lot of rain with my 4yo. I always tell her not to jump in puddles when people are near but otherwise it’s ok. I turned my back for a second to my son in the pram (she was about 2metres away from me) and she jumped in the biggest puddle near a man wearing beige trousers! He had a tiny splash on him. I immediately said to her, say sorry and she did. He turned to my daughter and called her a ‘silly little girl’ then turned to me and said ‘you should be keeping an eye on your child’. When I challenged him, saying she had said sorry and that she is only 4yo, he told me his children would never have done anything like that because he looked after them properly! There are some really rude people out there that I think have forgotten how to be respectful and kind. I’ve seen some of the comments on FB about whether he was an adult with autism and that patience is key for all – I have also seen that people are quick to tell you that you need to teach your child now as what is cute now is not in a few years time – I want to reach out as Mum to an older child and reassure you that my child sounds very similar to yours. Yes we put in appropriate boundaries as he grew and learned to understand more the social complexities in life but he hasn’t grown into a horrid judgemental expectant brat that feels he can do as he pleases because we allowed him to hold all the straws in every cafe or food place we passed, He hasn’t assumed he can command whatever he wants of any menu just because we found a little restaurant that will accommodate his needs – he knows the difference, He hasn’t turned out rude or aggressive because each time we visited the Dr’s they would give him a pair of latex gloves to help him calm (they no longer do this because they say he is too big now and he accepts that) – He has however turned into a highly compassionate young man because when he did need the above things people accepted and smiled and offered their support -not their opinions or judgement (although we did get plenty of those too) I know you are doing your best – please try to ignore those who suggest otherwise! How horrid for you both. We should all strive to show more humility in our current “moral highstanding world”. I think some adults have forgotten what it was like to be a child (in a largely adult world). Of course a very difficult thing is to show instant humility when challenged. I hope he has reflected and learned. And I hope you and your son can put one person out of billions behind you.